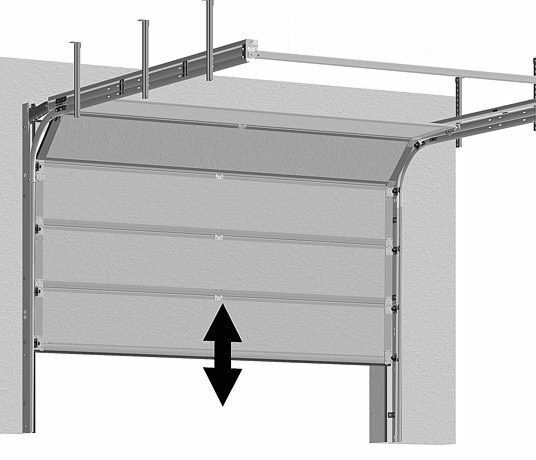 Sectional garage doors are usually constructed of 4-8 panels which slide up a track and come to rest overhead. 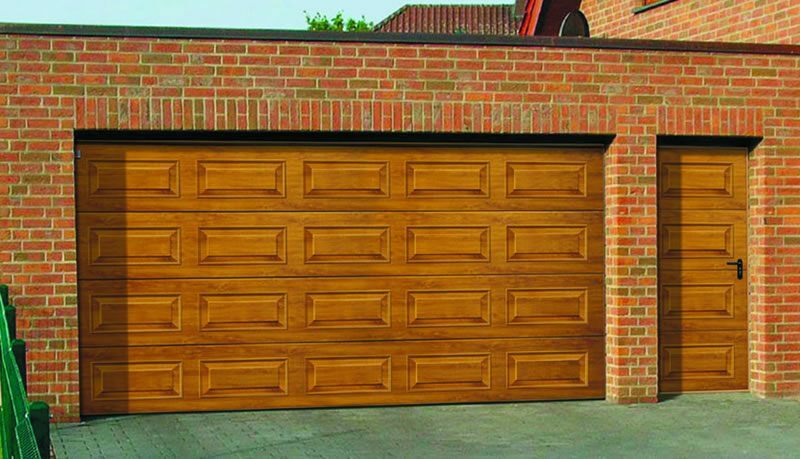 An advantage of sectional doors is that they do not protrude forward from the garage during opening. Sectional doors have become extremely popular in recent years for several very good reasons. They open vertically and most models have a double skin panel constructed from steel or GRP. Real timber is also available in a wide choice of woods. The double skin doors are filled with high density polyurethane foam which provides great stiffness and strength and provides high levels of thermal insulation. Combined with neoprene seals on all four sides the result is an extremely well sealed door of exceptional strength.